For oven roasting almost anything, ‘Koncis’ stainless steel pans from Ikea are perfect. 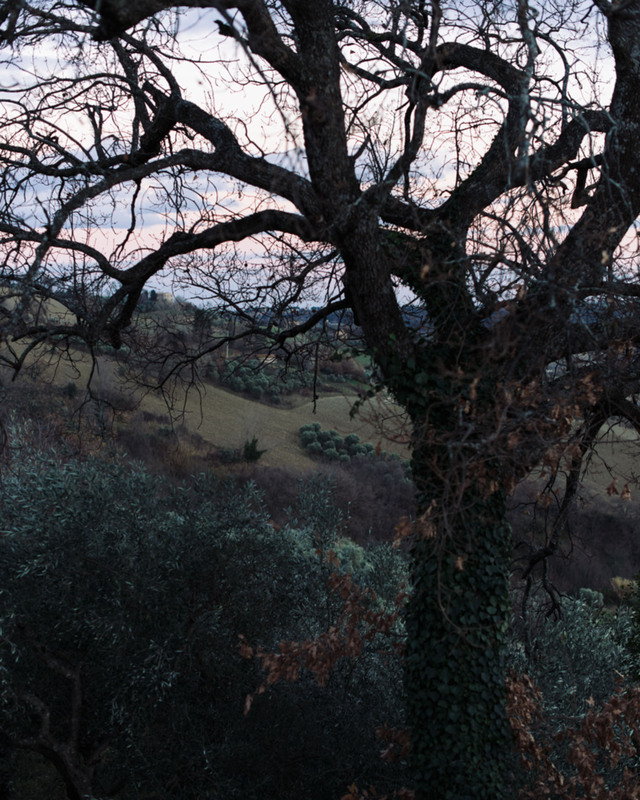 Shades of winter in Italy, January 2017. An hour in the oven and ready to be served. I love Brussels sprouts. In winter, I make them every week, usually for some type of meze meal that includes a few vegetable dishes, maybe fish, and some good dips. But the Brussels sprouts, oh yes, they are so cute and tasty. I recently found these tiny purple ones that I did not want to trim at all, the quality was so great. I simply washed them and baked them. Preheat oven to 200 °C (390 °F). Wash Brussels sprouts, trim ends and remove any yellow or brown outer leaves. 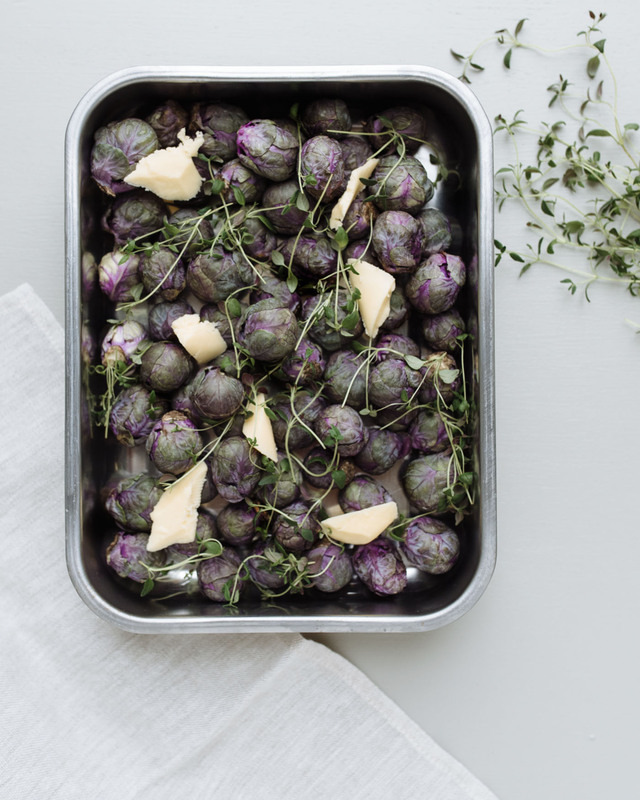 Place in a roasting pan, add chunks of butter and fresh thyme on top, cover with tin foil and roast in the center of the oven for half and hour, shaking the pan after the first fifteen minutes. After thirty minutes, take tin foil off and let the Brussels sprouts roast for another half an hour shaking the pan every ten minutes to ensure they roast evenly. Depending on the size and structure of the vegetable, it might require less time in the oven – or more. 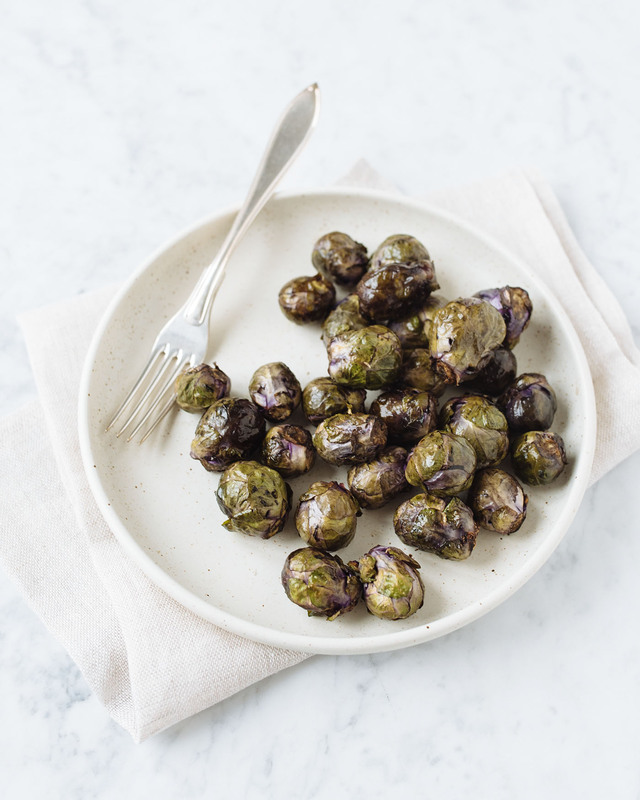 If the leaves are really tightly closed and the Brussels sprouts do not seem to cook and soften, add a tiny bit of water in the pan. The steam will speed up cooking and prevent drying.